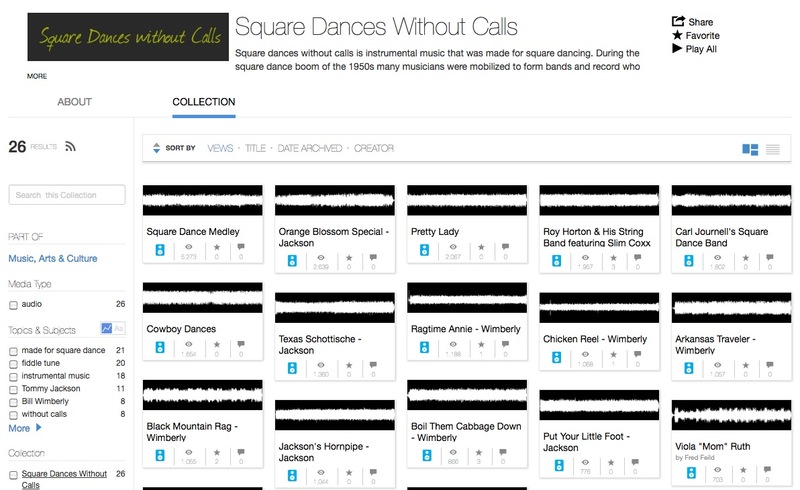 Square Dances Without Calls is a channel on the Internet Archive devoted to older recordings that were made for square dancing. The collection pays particular attention to records from the Southwest. Files available for download in several formats. 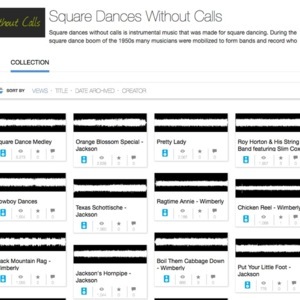 Fred Feild, “Square Dances Without Calls,” Square Dance History Project, accessed April 26, 2019, http://squaredancehistory.org/items/show/390.